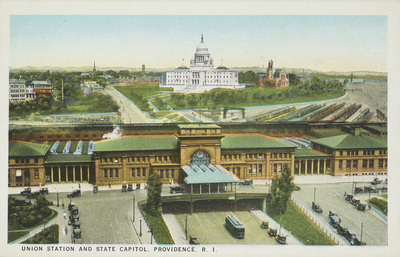 Union Station and State Capitol, Providence, R. I.
C.T. American Art, "Union Station and State Capitol, Providence, R. I." (1935). Rhode Island Postcards. 174.